In 2017, the programmer good at one of three following skills is receiving an average salary of $ 1,500 per month. According to the Programmer Summary Report 2017 by TopDev há jút released in the IT workforce, Web programming accounted for the highest proportion of nearly 74.8%, followed by Desktop App and Mobile App programming. The "Machine Learning" trend is leading in terms of salary for programming positions, average about more than $ 35 million a month ($ 1,576), followed by DevOps and research-algorithmic fields. 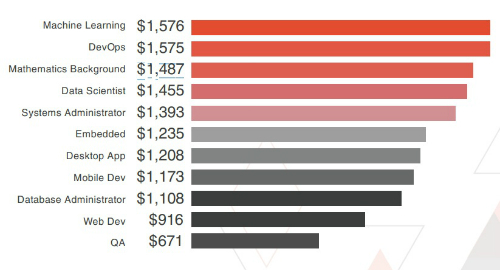 The average salary the programmer receiving for the equivalent positions. However, in the IT industry overview, this is a medium level salary. 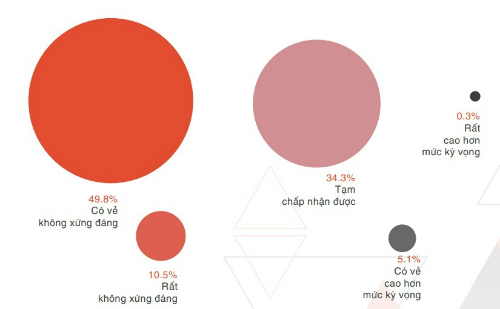 The salaries that IT companies are willing to pay for their employees are 62 million vnd per month ($ 2,721). Recruiting Network commented 2017 is a very successful year for the mobile programming market and is the best period to jump into this area. 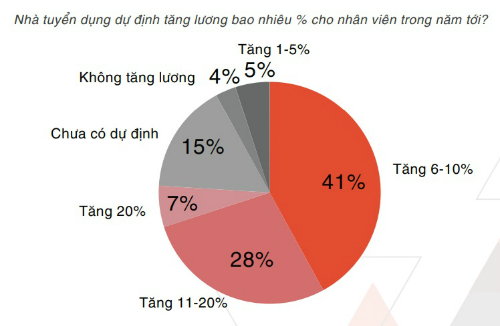 This is one of the five skills that employers are most willing to pay for experienced applicants - about 27 million vnd per month ($ 1,212), just behind Big Data with a salary of nearly 30 million vnd per month. 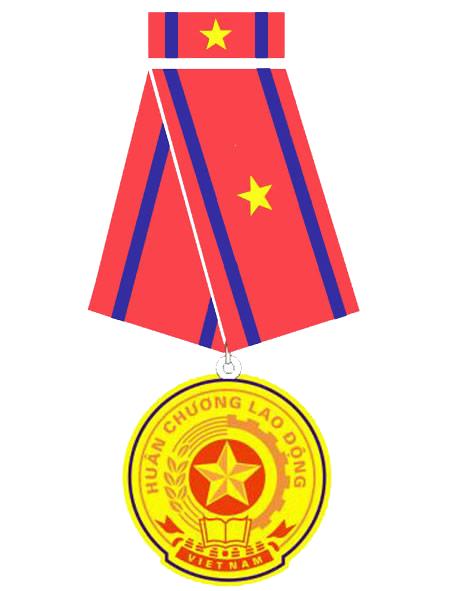 ($ 1,325). Besides, on TopDev's system, nearly 10% of recruitment vacancies are reserved for mobile programmers, indicating that the mobile programming hot trend has not shown signs of cooling and still attracted employers. Moreover, iOS and Android still dominate the market, Native skills are still very popular. Satisfaction fractions on salary for programmers 2017. On recruiting, the report said that up to one-third of programmers seeking for work, changing jobs just in one year. Though about 75% of programmers are not actively looking for work, are still ready for new opportunities. To explain this phenomeno, TopDev pointed out various reasons, including promotion opportunities, work environment and especially the current salary and promotion level. Data show that nearly 50% of programmers feel they are unpaid worthily for their abilities and talents. However, the good news is that up to two-thirds of employers in the survey are planning to increase salaries for employees from 6% to nearly 20%. More than two thirds of employers said that they would increase salaries for employees not so far. The other trends such as Big Data, Internet of Things, Blockchain, ... have become more increasingly popular, contributing to application efficiency increase and helping businesses perfect existing products. "With the advancement of the IT industry recently, it will definitely be a bright spot in boosting the entire recruitment market in 2018. More than that, seizing the development of AI, Machine Learning and Blockchain will help businesses achieve solutions that optimize their business model to meet the changing of the forth industrial revolution, "commented the report.